The wharves in Koro and Gau are playing fundamental roles to the two islands economic movements and developments. Big vessels can now dock at Nawaikama in Gau and Muanivanua in Koro. According to local observers, the two-year old wharf in Qarani, Gau has made travelling and selling their harvest easy with ships docking and departing freely. “The old jetty was small and quite unsafe with the way it was built,” said 60-year-old Lagi Lomaiviti. Prime Minister Voreqe Bainimarama opened the wharf in June, 2016 with the Navukailagi people looking forward to a boost in the econo­my. 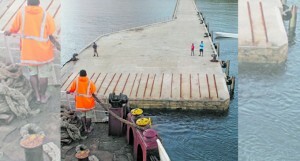 Mr Lomaiviti said the docking of local ves­sels was convenient and safe compared to the old jetty. 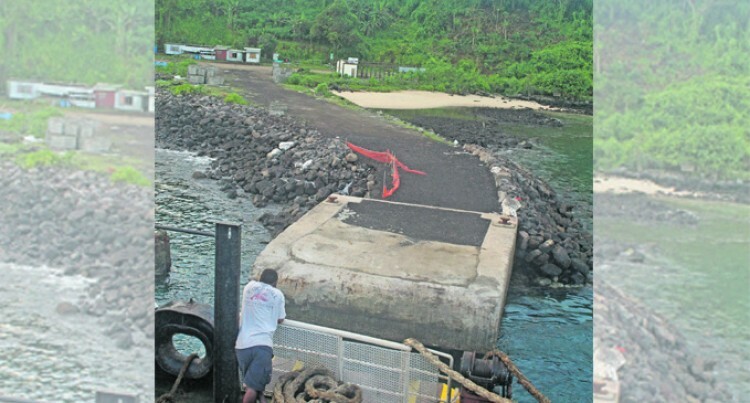 “The build of the old jetty was rocks and con­crete poured on it which was an easy structure to be damaged with a cyclone and strong winds while this new one allows the water to run through the bottom pillars,” he said. He said the structure would stand firm during stormy weather because of the way it was built. The Muanivanua Jetty in Koro which was a small structure in comparison looked unsafe as far as storms are concerned. The jetty is the main wharf for transport to Suva and Vanua Levu with the major shipping services.